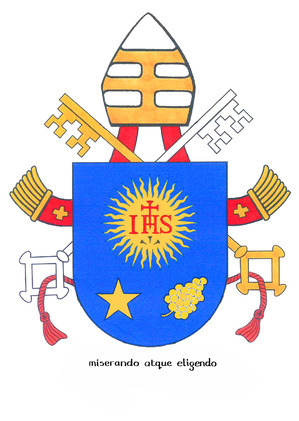 As reported in secular and religious media, the Institute for the Works of Religion (IOR) –known popularly, even if inaccurately– has been a bête noire for recent popes. The IOR is a colossal distraction for Catholics and for the seculars due to the mismanagement and problematic behavior of certain clergymen. 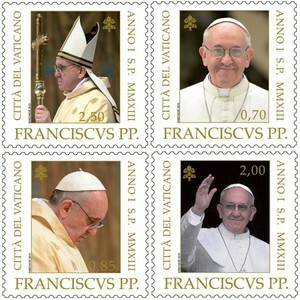 If Pope Francis doesn’t get this problem under control and fixed, his work will be weakened. 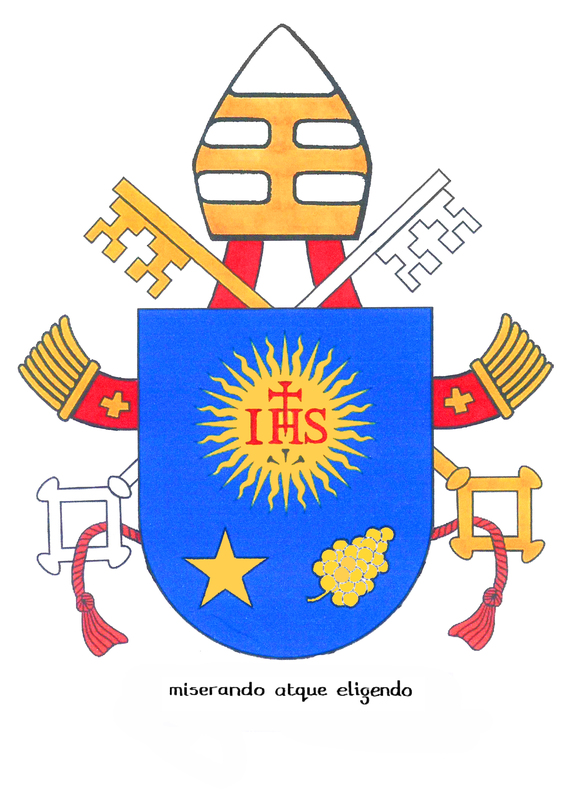 “With his Chirograph of 1 March 1990, Blessed John Paul II established the Institute for the Works of Religion as a public juridical entity, giving the Institute a new configuration while maintaining its name and purpose. With the same perspective, taking into account that he wished to better adapt the Institute’s structures and activities to the needs of the times; following the invitation of Our Predecessor Benedict XVI to allow the Gospel principles to permeate even the activities of an economic and financial nature; having heard the opinion of various Cardinals and other brothers in the Episcopate as well as other collaborators; and in light of the need to introduce reforms in the Institutions that give aid to the Apostolic See; We have decided to establish a Referring Commission for the Institute for the Works of Religion that will gather accurate information on the Institute’s legal position and various activities, in order to allow, if necessary, a better harmonization of the same with the universal mission of the Apostolic See. The Commission is to carry out its proper duties in accordance with this Chirograph and Our working arrangements. On 13 May 2013, Tarcisio Cardinal Bertone, SDB, the Secretary of State and Archbishop Angelo Becciu, the assistant in the same office, presented the Annuarium Statisticum Ecclesiae (the Church’s Statistical Yearbook) to Pope Francis and the rest of the Church. This annual publication is official document outlining ever imaginable stat one would want to know, and more. The statistical information in the Church Yearbook refers to the year 2011 which details the Catholic Church in the 2,979 ecclesiastical circumscriptions. That is, the dioceses and other administrations of the Church around the planet. As already known, the Church is diminishing in Europe and growing in Asia and Africa. The number of Catholics in the world increased from 1.196 billion in 2010 to 1.214 billion in 2011, an increase of 18 million faithful. Pope Francis receives his predecessor, His Holiness Benedict XVI, pope emeritus today at the Monastery of Mother of the Church (Monastero Mater Ecclesiae). 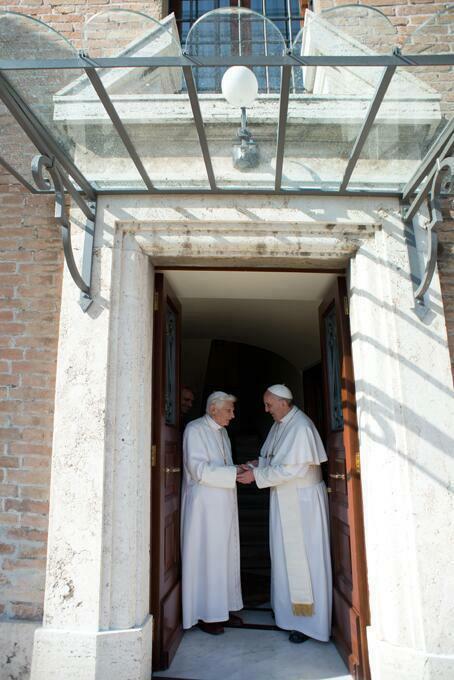 Pope emeritus Benedict abdicated the Throne of St Peter on 28 February 2013. 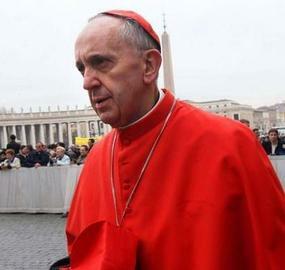 The Vatican Information Service reported today that a documentary will be published on the new pontificate. The documentary is titled, “Francesco – Elezione di un Papa che viene dalla fine del mondo” (Francis: Election of a Pope from the Ends of the Earth) … made in collaboration with the Officina della Comunicazione (OC) and the Italian newspaper, Il Corriere della Sera. The DVD will be distributed as a supplement to the Friday, 2 April edition of the newspaper.” On its own the Italian version will cost 10.90 euro; English, Spanish and French editions are planned. Speaking in French today, Pope Francis gave his talk in Italian outlined to the world’s diplomats the mission of his pontificate: building peace AND constructing bridges of dialogue, combatting spiritual AND material poverty. This is part 2 of his “pontifical program of ministry.” The Pontiff met the more than 180 accredited diplomats in Sala Regia of the Apostolic Palace, the Vatican. But there is another form of poverty! It is the spiritual poverty of our time, which afflicts the so-called richer countries particularly seriously. It is what my much-loved predecessor, Benedict XVI, called the “tyranny of relativism,” which makes everyone his own criterion and endangers the coexistence of peoples. And that brings me to a second reason for my name. Francis of Assisi tells us we should work to build peace. But there is no true peace without truth! There cannot be true peace if everyone is his own criterion, if everyone can always claim exclusively his own rights, without at the same time caring for the good of others, of everyone, on the basis of the nature that unites every human being on this earth.